Well, I have the cold from hell, seriously, it's a beast. 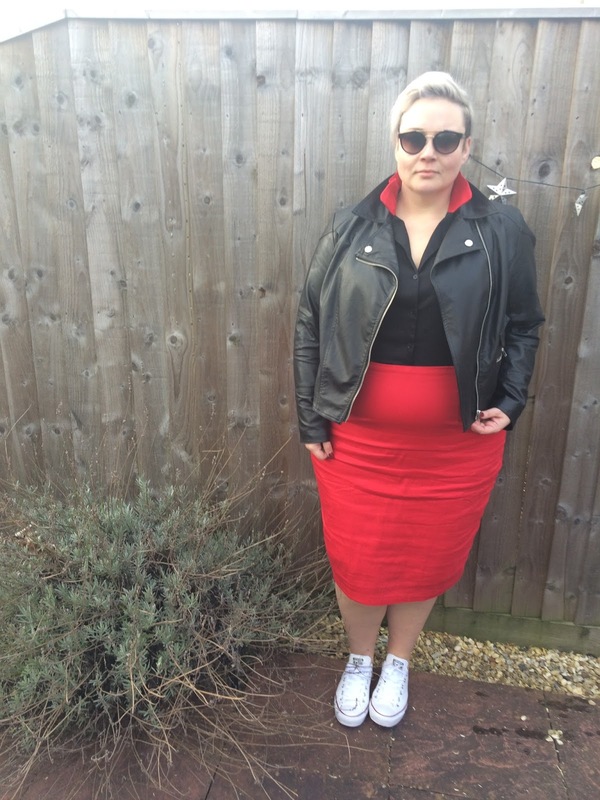 But fear not, I did manage to get some snaps in this mega snazzy Lindy Bop dress. If you follow me on twitter, you might know I'm obsessed with Grease 2, in fact as I write this up, Poppy and I have it on, I have passed said obsession to the child too! One of the musical numbers is set in a bowling alley and when I saw this dress, I knew I had to get my Stephanie Zinone on and "shoot the ball, shoot the ball, shoot the ball!" This Matessa Bowling Pin wiggle dress plays to all my 'not too girly but still a bit girly' aesthetics. 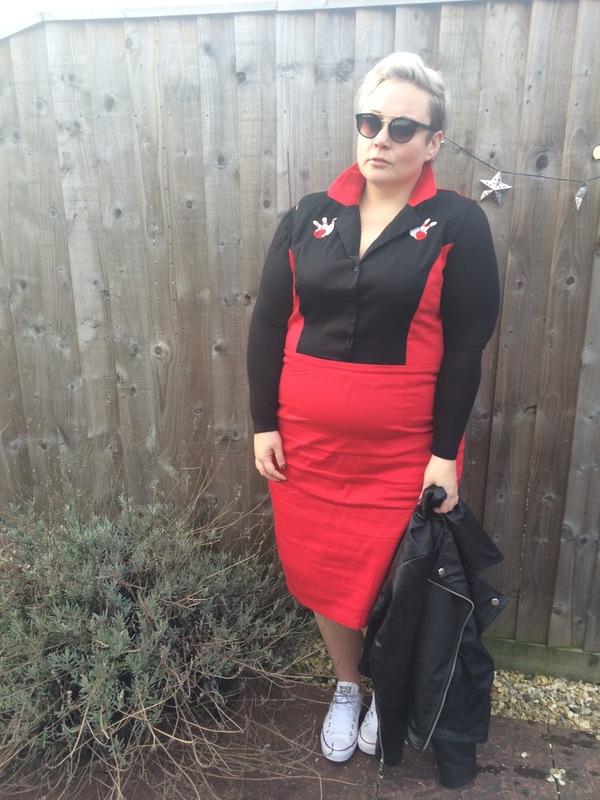 I love the 50s diner, rockabilly vibes, neat pencil skirt and cute embroidered detail, I did however have to pop on my wingz sleeves as it is SO chilly, but this is going to be banging in the summer! 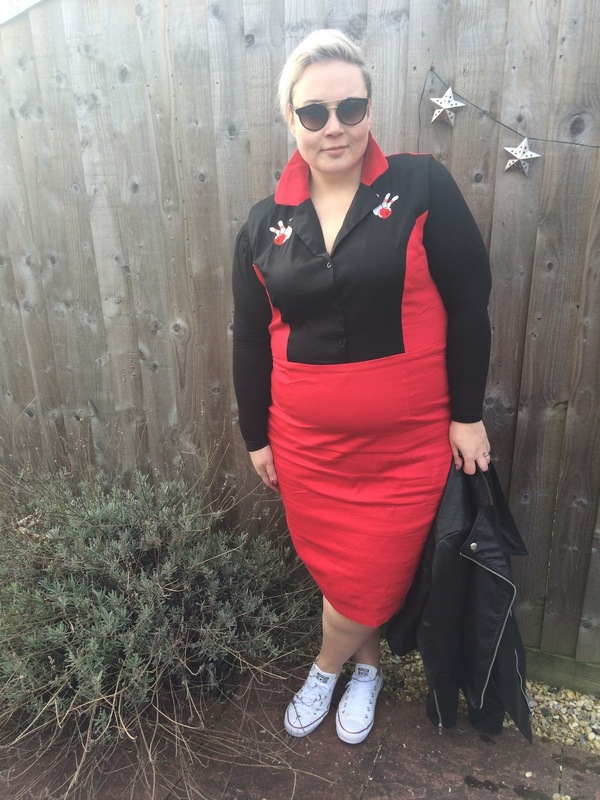 Size wise I'm wearing the 24 which I find fits me well in the wiggle dress style from Lindy Bop. The dress itself is stretch as is the soft jersey feel lining. There is a zip to the side, but I just popped it over my head. The length is great, it sits on my knee (I'm 5'7"). Right as much as I'm enjoying all your company, I have dinner to cook, and a hot drink to sup! Catch you guys later! this is amazing and you totally need to be in the bowling alley to sing 'We're gonna score tonight'!